Mystery trip auctions, camping in people's gardens and "gamification'' are among the hottest trends in world travel. They are among the fads identified by London-based research firm Euromonitor International in its annual global trends report. Mystery trips - particularly for milestone events such as honeymoons and birthdays - have become a huge hit in the US. Travellers bid on packages with an unknown destination, hotel name, supplier and inclusions and typically only pay half of the usual sale price. It allows suppliers to benefit from selling excess capacity without undermining their brand, the report said. Travel specialists discuss consumer's preferences and budget to create the mystery trips and the itinerary is revealed day by day via smartphone. 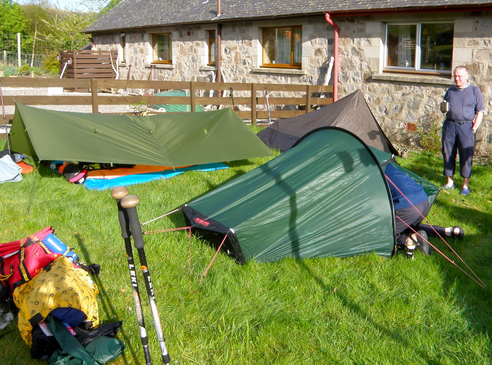 In the UK and Europe, meanwhile, homeowners are renting their gardens as campsites to holidaymakers. The concept appeals to travellers who wish to experience the local community and go back to traditional and modest forms of accommodation, the report said. Gamification - the integration of gaming dynamics in non-gaming environments -started in the US entertainment industry, but is now spreading to travel. It encourages consumers to share their experiences, photos and videos on social networking sites such as Facebook to help generate brand awareness and loyalty. Participants accumulate points, badges and status levels, as well as real gifts such as trips or air miles. "There are many synergies between social games and traditional loyalty programs, which can be considered as the first example of gamification in the travel industry,'' the report said. Tourism Ireland this year launched a new social game on Facebook called Ireland Town, which enables web users to explore the country's attractions, complete challenges based on activities available for tourists and win trips to the country. Travellers can also expect greater interaction with hotels and other tourism providers, the report said. Marriott International, for example, set up an online concierge service through Twitter to solve guest complaints quickly and efficiently. InterContinental Hotels Group also created a Social Media Customer Care Team to identify and resolve complaints, also working with properties to help with monitoring.